Posted: Thursday, August 9, 2018. 2:59 pm CST. 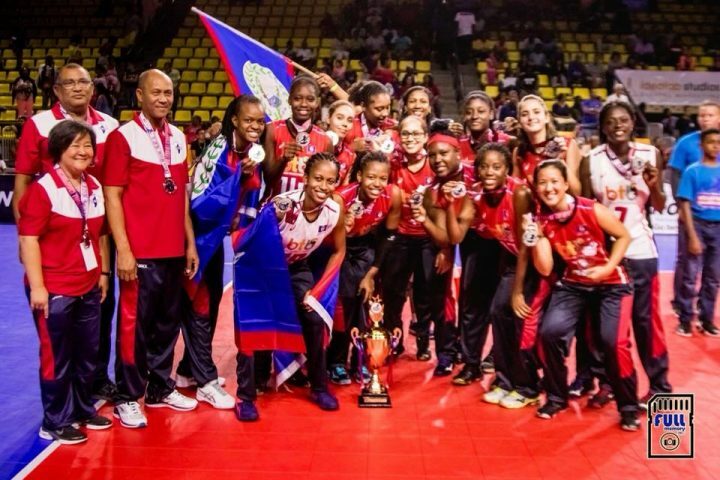 By BBN Staff: Prime Minister, Dean Barrow and the Government of Belize congratulated the Belize National Women’s Volleyball Team today on winning the silver medal in the 20th Central American Women’s Volleyball Championship, which was held in Belize City from August 4th-8th.. It is noted with great pride by the Government that the country offered overwhelming support to the team during the games and so commends the nation for uniting in this regard. The team’s victory is a true testament to the passion, hard work and dedication of each player, the Belize Volleyball Association, and everyone who played a key role in the team’s development and preparation for the event. The Government also congratulates the team on winning Best Spiker, Best Scorer, Best Opposite, and Best Setter. The Government says that it continues to offer its unwavering support to the development of sports in Belize. Deputy Prime Minister and Minister of Education, Youth, Sports and Culture, Patrick Faber along with the National Sports Council will be hosting a motorcade through the streets of Belize City in honor of the team on Monday, August 13, starting at 2:30 p.m.
Starts at Marion Jones Stadium onto Princess Margaret Drive, Freetown Road, Douglas Jones Street, Youth for the Future Drive, Vernon Street, Magazine Street, Cemetery Road, Orange Street, Albert Street, Yarborough Road, Central American Boulevard, and ends in front of the Civic Center, where an acknowledgment ceremony will be held. The public is encouraged to come out and support.